Henry just got back and I have to admit I anticipate what type of toy he will get for Iya. He has this particular taste when it comes to gadgets and I know it applies to toys as well. He did not disappoint! I see why he bought this, it’s fun and educational just like lego blocks. 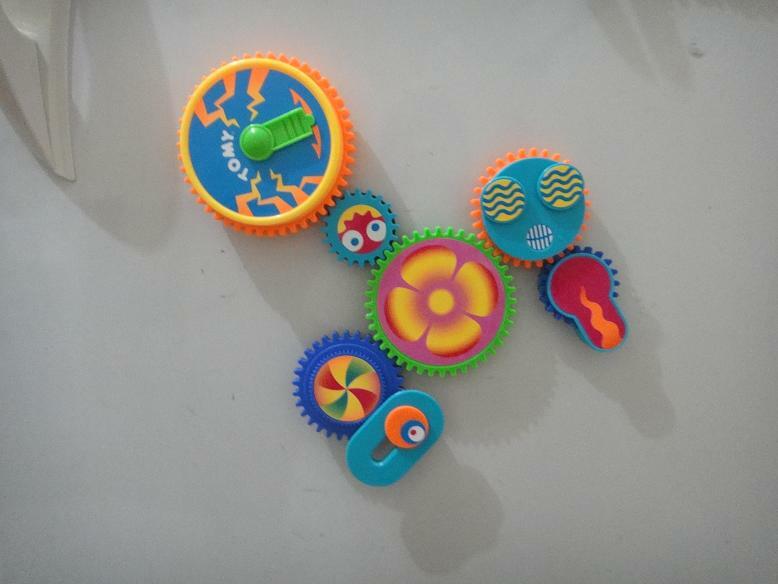 The toy is a refrigerator magnet set of gears that you can rearrange whichever way you like. You can assemble your own system of rotating components. 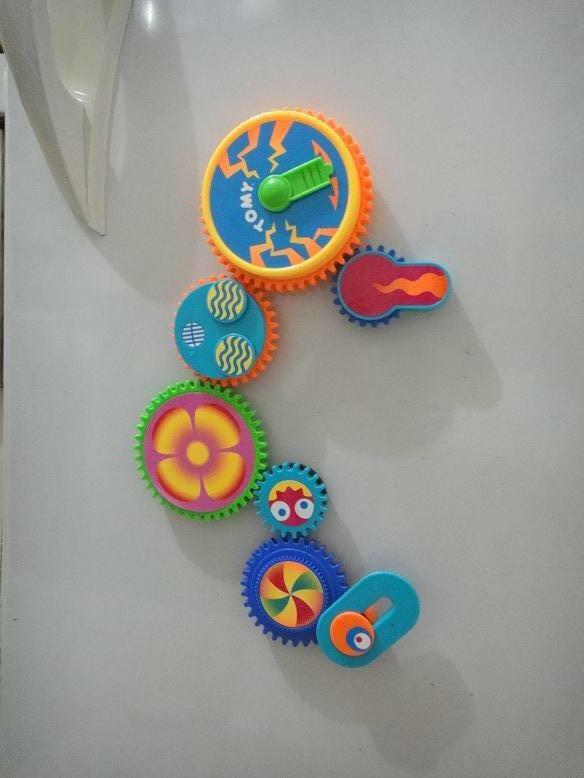 It has a forward and backward knob at the largest gear where the battery is also housed. It is not gender specific making it a perfect gift.